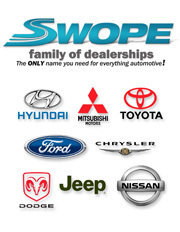 Swope Family of Dealerships is working with us on new custom facebook pages to help users search inventory online - starting on facebook!!! Check them out and make sure you "like" the page, so you can keep up with the latest in the automotive world, and find out about great specials and facebook ONLY deals! Make it easier for people to get the information they want from you! The easier your company makes it - the happier the client or visitor will be!